We have on board music teachers who speak, and tour though Europe. Lessons are only in one on one format. All of our professors graduated from internationally acclaimed music universities and perform on concerts in Poland and abroad. It was established in 2009 as a response to the needs of people who want to introduce their children to the world of beauty, a world which creates an opportunity harmonious development of personality, and also expands and deepens aesthetic sensitivity. Music school conducts individual piano lessons, violin lessons, guitar lessons, singing lessons and flute. Author’s School of Music Unison Warsaw invites you to teach children, and also adults who are thinking about preparing to study vocal or simply by practicing good music, they want to break away from the hustle and bustle of everyday life and immerse yourself in the world of sound where there is eternal harmony. Our great composer Witold Lutosławski said: where words end, music begins there. Our Musical School is the sole official partner in the Mazovian Voivodshaft that cooperates with the Associated Board of the Royal School and prepares its students for official international ABRSM exams carried out by that Institution. Clicking on the icon or the text opens ABRSM site. Learning on the professional level is of elite character. Precondition is here student’s good musical hearing and feeling of the rhythm in performance. What distinguishes this specific way of teaching is very precise executing of the musical program in lessons with teacher understood as foundation building for further artistic development, and afterwards – for gradual introduction of young artists into the world of real artistic creation. Here we derive a lot from our extraordinary rich musical tradition created and developed in the last decades by our greatest composers and educators. These traditions are for us the foundation on which we build and develop innovatory methods of solving problems in instrumental music. We also pay special attention to attractive and professional character of our teaching in the entire process of musical education in our School. The teaching on the other level of musical education does not demand paying so much attention and commitment to instrumental development because its main objective is enhancing joy in making and experiencing music as artistic creativity. It is primarily conceived as a kind of a musical adventure in the world of artistic sound. All of our tuition is provided in the one on one lesson format. We want to make sure that the teaching plan suits student way of learning. Also we want to profile the content of the lessons so the student gets best teaching experience. Our personalized lessons are effect of many years of the in depth knowledge in the educational field. We are known for keeping the highest standards. This is the effect of treating each student as an individual and working with custom plans suiting individual learning pace. The specific character od Unisono Music Academy can be visualized in two aspects: it is constituted by group of outstanding virtuoso artists with significant musical achievements and teaching experience, i. e. artists who also love working with students on different levels of musical education. Our musical education is focused on frequent public performances in various concert-halls. It stimulates student’s concentration and motivates him / her to master new musical material. It also brings the performer a feeling of satisfaction and joy from playing for the public on the scene. The main objective in musical education in our School is first of all to prepare our students to produce to the public their artistic skills in concert-halls. This is an important stimulation that motivates students to further development of repertoire and progress on each level of their musical education. Their performances in concert-halls evoke additional commitment and bring real joy to the performers thus repaying for their daily exercises at home. This way, the program of musical education in our School substantially eliminates stress, which frequently can be seen during instrumental exams in other musical institutions. Therefore, there are no grades given for the performance at the end of instrumental or vocal education in our School, because we assume that striving for good grades on this level of musical education brings unnecessary stress that should be avoided. We allow our students to evaluate their performances themselves because our experience in the process of musical education shows that after relatively short time of practicing they are able to correctly asses their productions. International ABRSM exams as well as the process of preparation according to the program of ABRSM are voluntary (i.e. 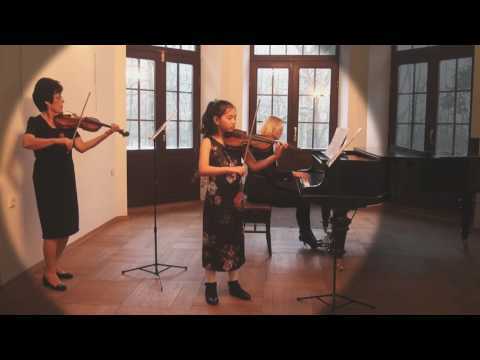 not mandatory) and are organized by the Council of the ABRSM in different countries all over the world. Our School also offers our teachers and students suitable rooms for teaching and practicing music. All rooms are properly equipped according to the needs of the respective process of musical education. We assume, that music is closely interwoven in our life and constitutes a specific reflection of beauty rooted in our person. Therefore, our classes do not recall standard classes in ordinary schools but rather elegant living rooms. They possess their specific individualized climate in which our students feel comfortable and eagerly attend lessons provided by their teachers who do their best to build up in them professional attitudes to artistic performing of music. These are the foundations for future development and artistic success. Our Music School also has separate children’s corner for small children. For very young pupils we have two different corners where children are close to their favourite toys that keep them company during their lessons. In our School we not only have classes for the young and elder students but also room for their parents and foster persons who may comfortably wait and relax while their children attend their lesson. It also happens that elderly persons return to school and after several years break resume their musical education. When the break is longer, they have to learn playing instrument from the beginning. It happens that during the concert parents perform together with their children. 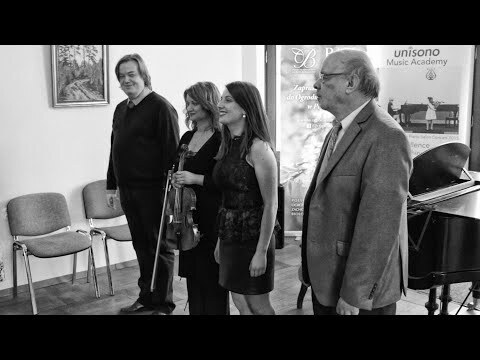 The Unisono Music Academy in Warsaw is open to all who are interested in playing and enjoying music, and especially to those who want to learn and play ambitious music. This is the way to the world of music enabling its enthusiasts to experience and enjoy the aesthetic beauty created by human genius. Contact us to know more about Unisono, schedule appointment and first lesson, get concert dates.